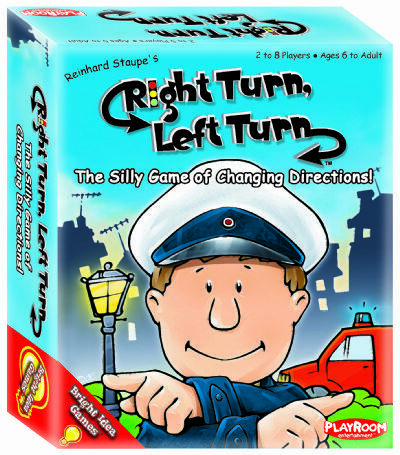 In Right Turn, Left Turn™ there are seven Traffic Officer cards ready to give directions. Players will see the Officer either from the front or from the back. When playing the game, three directions must be followed, going right or left from the Officer*s point of view. Players must be the first to call out where the directions lead.